Basically self-contained, compact sound systems, the KB® series amps are perfect for voice, keyboards, acoustic and electric guitar, drum machines and backing machines. 8 Inch Extended Range Speaker. 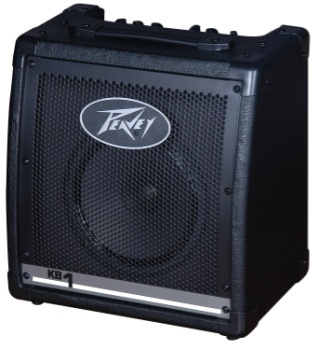 20 Watts Of Clean Peavey Power. Weight Unpacked: 16.00 Lb(7.257 Kg). Weight Packed: 21.00 Lb(9.525 Kg). Width Packed: 13.12"(33.3248 Cm). Height Packed: 19.5"(49.53 Cm). Depth Packed: 18"(45.72 Cm).